It's fun and easy to star in your own Dance Heads music video. Just put on a smile, and bob your head to the beat. 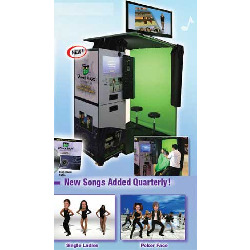 Utilizing green screen video technology, your head is superimposed on professional dancer's bodies who dance to your favorite songs like Poker Face Single Ladies, Viva Las Vegas and many more.